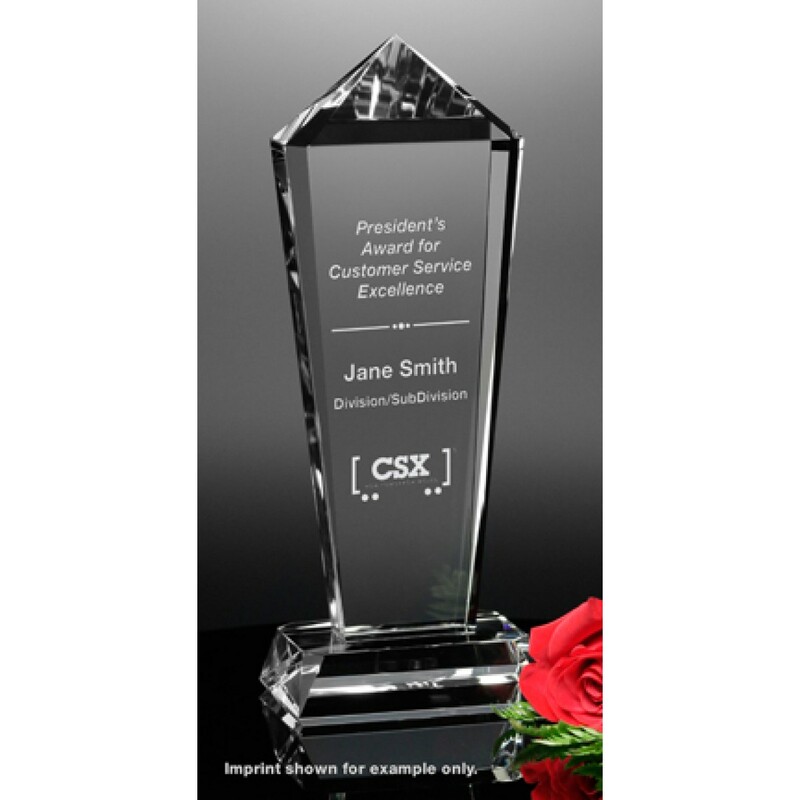 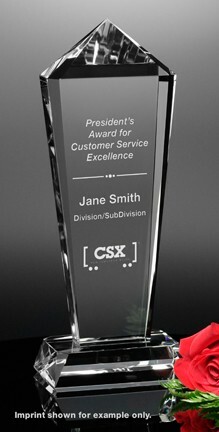 CT5337 - This optical crystal award has soft edges that complement the peak and can be customized with the logo and message of your choice. 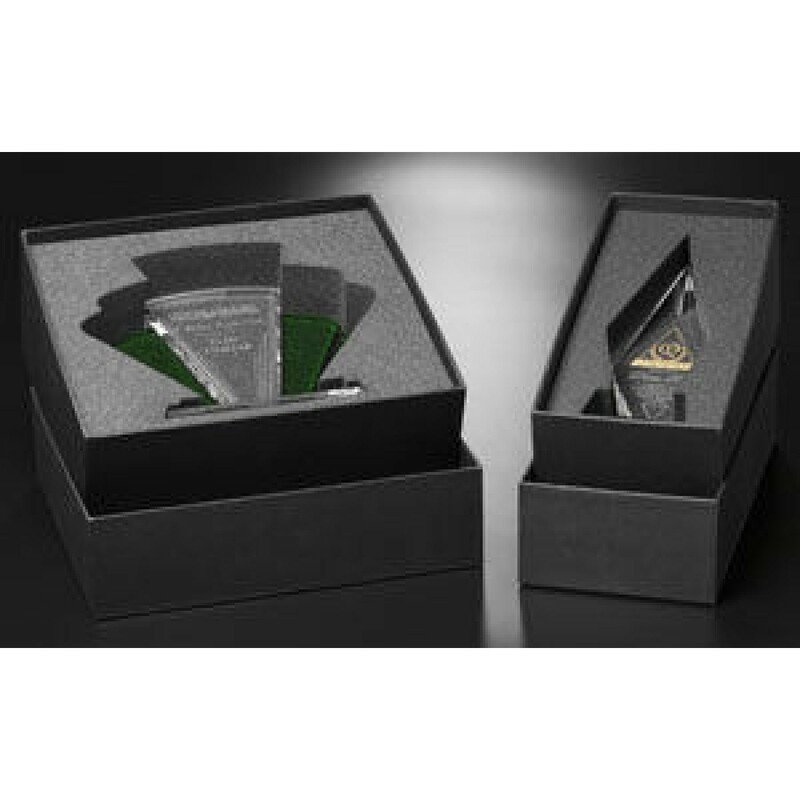 Dimensions: 4-1/2" W x 12" H x 3"D. Gift box included. 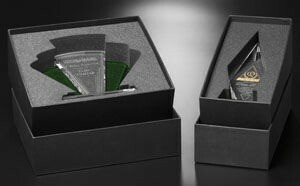 Etching shown is for example only.